We got a nice pic this morning from Benny Gool. 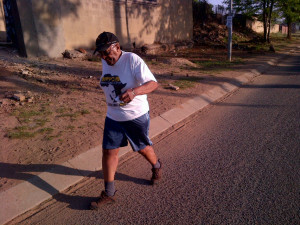 It shows Archbishop Tutu on his morning jog in Soweto. 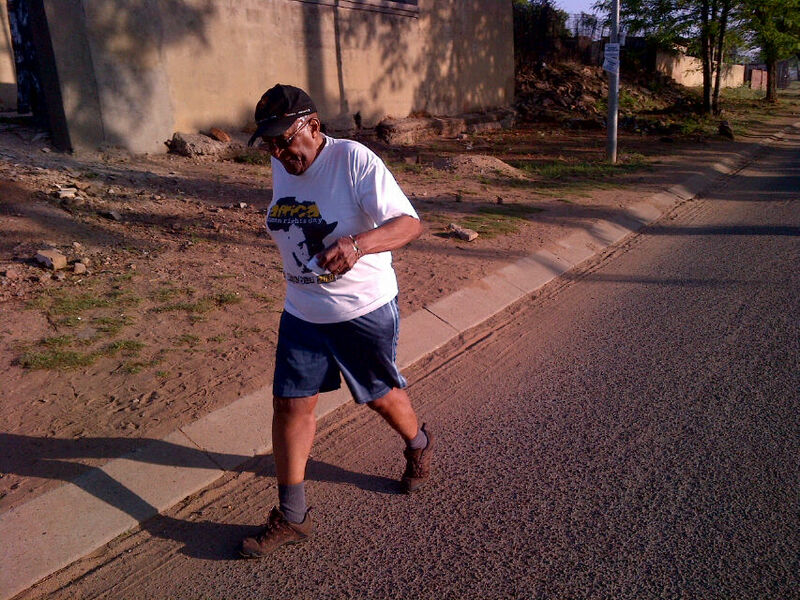 And in case you were wondering, we are sprinting to the deadline ourselves: Arch Tutu will be in Swellendam in a week and a half! 23 October is the red-letter-day and banners will start going up from this week in preparation for the event. Arch has always been extremely vocal on the need to stay in fine physical form and has always been happy to show off his own fitness levels as this pic from Michelle Obama’s visit to Cape Town illustrates. Arch dropped and did some pushups with Mrs Obama. There was not a bingo wing in sight as the first lady and Tutu got together with youths for some keep-fit during a visit to the Cape Town Stadium.